The Airbus A350-900 will take 34 minutes to turn at an airport when performing a minimum service turnaround and 62 minutes for a full-service turnaround, Airbus is advising airports. 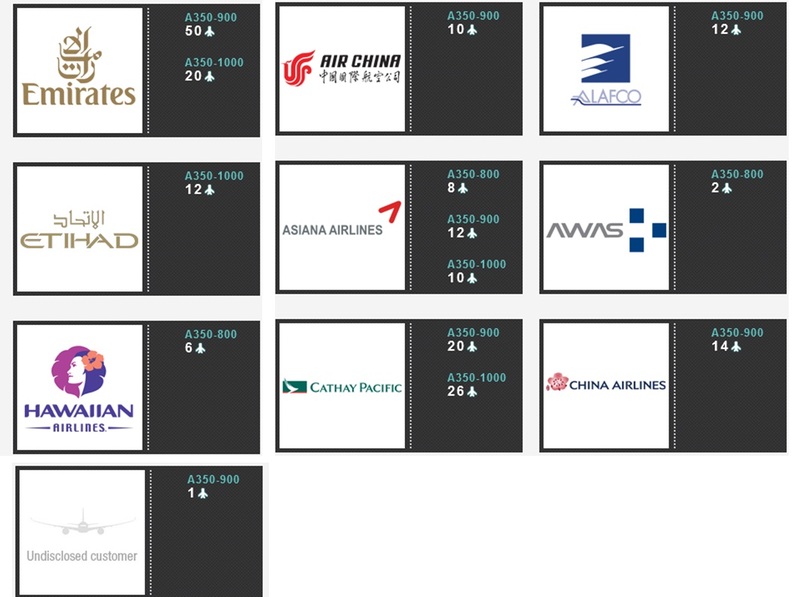 Airbus assumes 315 passengers in the full turnaround scenario and 157 in the minimum turnaround timeline. Doors L1 and L2 are used for the full passenger load, and just L2 for the lower passenger count figure. Typical times for ramp activities during aircraft turnaround. The full turnaround includes passenger handling (315 pax), cargo off-load & loading, refueling, cleaning and catering activities. 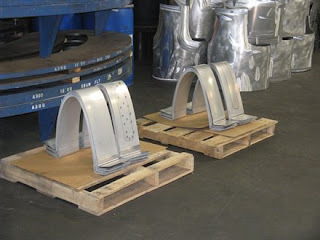 Main Landing Gear Bay, in the central fuselage, is designed and assembled at EADS Sogerma. EADS Sogerma, that is a 100% subsidiary of the EADS has a wide experience of over 80 years manufacturing seats and aerostructures. Originally founded in Rochefort – France, currently there are subsidiaries in France, Morocco, and Canada. As Tear 1 supplier, EADS Sogerma designs & manufactures the MLGB for all the A350 XWB versions and the contract represents around 500 million dollars for 800 aircraft to be delivered. 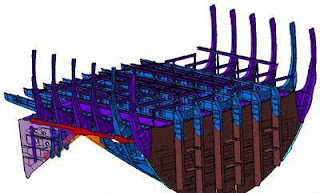 The MLGB is a complex product of 6.2m x 6.0m and a weight of 1.3 tons, with both metallic structures (Aluminium, Aluminium-Lithium, Titanium) and CFRP composite structure. 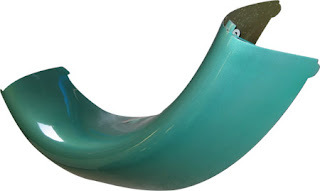 The pressure bulkhead is manufactured at Spanish supplier Aernnova in CFRP composite by ATL. 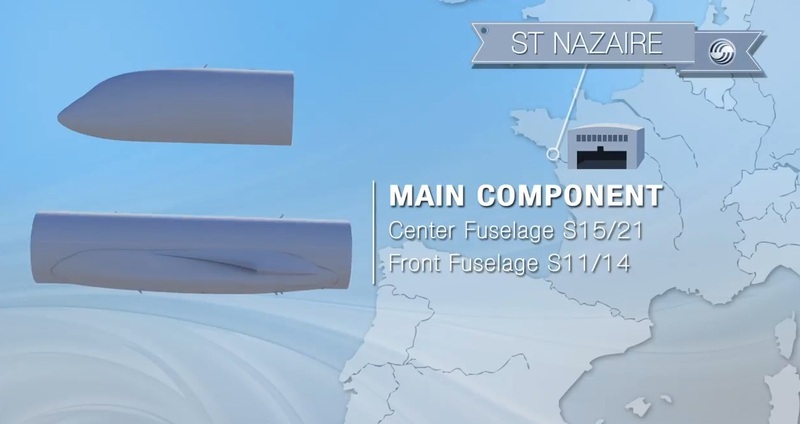 In this video dated on August/2011, it is shown the assembly process and delivery to St.Nazaire of the MSN001 (in French). 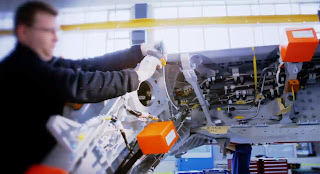 As shown in the video, EADS Sogerma participates in other Airbus programs with metallic assembly and cabin seats manufacturing. It is striking the special transport by truck from Bordeaux to St.Nazaire that stops the traffic in some small villages; don´t want to think when the delivery rate will increase till 13 aircraft per month. It could possibly ship in the future by the barges used in A380 sections, which carry 95km up the Garonne river from Pauillac to Langon in their voyage to Toulouse. EADS Sogerma also manufactures in the A350 XWB the Equinox passenger seat, for the business class section of the aircraft. Proposed in a 6 passenger side-by-side configuration, the seating has been specially optimised for the wide fuselage of the A350 XWB, allowing for the possibility of a bed setup without compromising the number of normal seat passengers. Airbus CEO Frabrice Bregier said that although the A350 XWB itself is on track, with two aircraft built -one to be used on the ground to assess the airframe and the other the first test plane- there are concerns about program-management issues at Spirit Aerosystems. Airbus is working closely with the company, which took around $600 million in charges in 2012 related to difficulties in developing parts for more than one new plane. 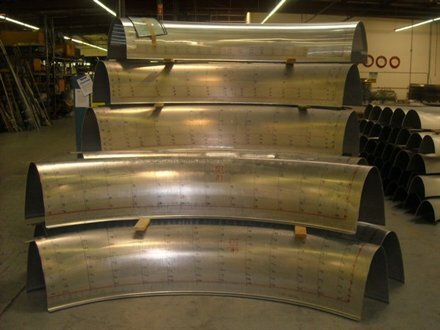 Next 12/February is scheduled the presentation of the 2012 Financial Results by Spirit AeroSystems CEO Jeff Turner. 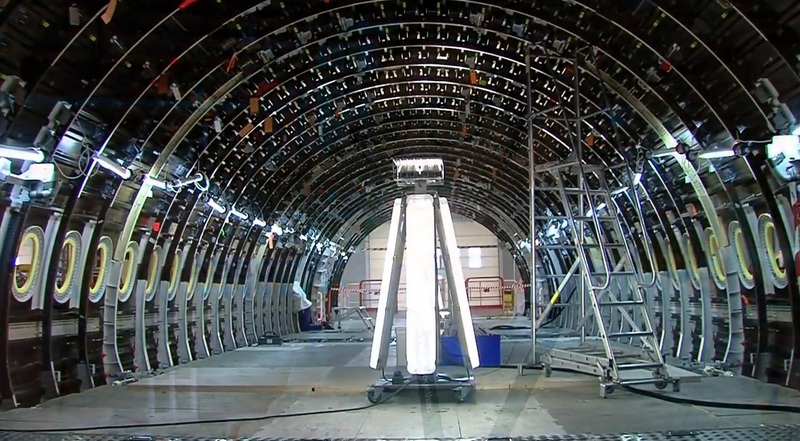 Spun off from Boeing in 2005, Spirit is the largest U.S. supplier for the A350 structure. 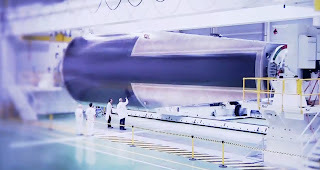 Spirit manufactures the centre fuselage section 15 (AFP) but also another critical work-package like the wing spar manufacturing in composites. The Ram Air Turbine emergency power system, known as RAT, is one of the backup power sources that are designed to automatically engage to ensure that those systems needed for continued safe operation of the airplane are powered, in case a failure of the power from both engines and the aircraft speed is above 100 Knots. 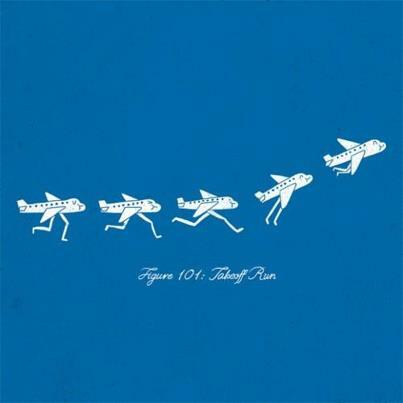 Theoretically, there is no time limitation for flying with the RAT. The Emergency Generator should remain supplying until touchdown; so the aircraft should never become 'Batteries Only'. A ram air turbine (RAT) is a self contained turbine unit with a hydraulic pump attached that are generally only used in emergency situations. RAT is deployed automatically when main system pressure drops below a predetermined value, and could also be deployed into the airflow by selection of a switch on the flight deck. The RAT must be capable of operation over a broad speed range, maintaining normal hydraulic pressure, whether the aeroplane is at maximum speed and height or slowing for landing. A volumetric flow control valve is usually fitted to the RAT allowing the propeller to attain operating speed, before being loaded by the pump, this allows full system pressure to be achieved approximately 4-5 seconds after deployment into the air stream. 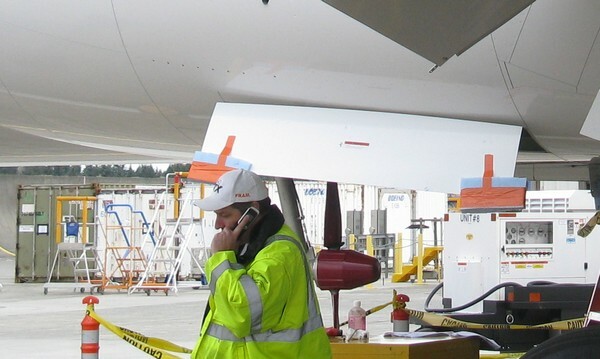 In the 787 (above) the RAT is stowed in the flap track fairing. In the A350 XWB, the place of stowage was initially under the left wing as shown in this old image below, but currently is under the fuselage fairing (belly fairing). In the extremely rare loss of power from the engines, the RAT deploys into the airstream and produces power for the cockpit and flight controls to safely land the aircraft. 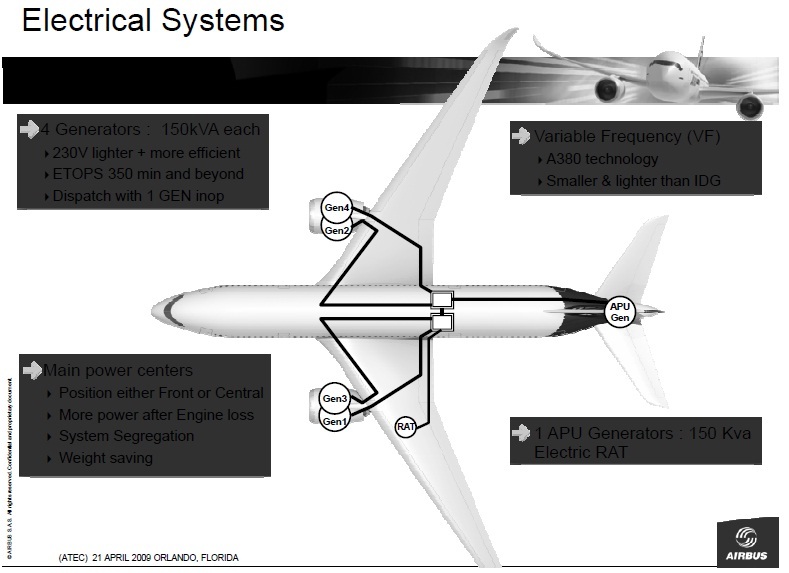 The RAT is designed&manufactured by American supplier Hamilton Sundstrand Electric Systems (a subsidiary of UTC) located in Rockford Illinois (USA) that also provides the A350 XWB’s Electric Power Generation System. 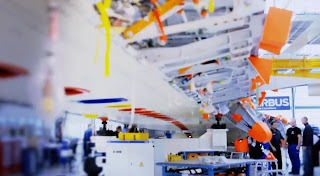 Airbus is using the same 21-year-old original A340-300 as development testbed for its investigation of acoustic transmission after installing a carbonfibre fuselage panel that could be seen in the same photo. 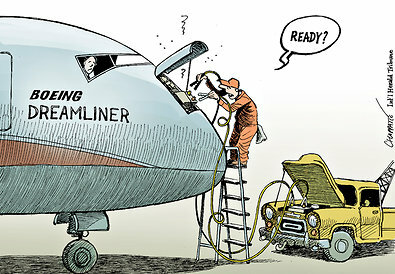 Securing the future while Boeing won in 2012 on aircraft new orders. Airbus has a backlog for 8 years of production. 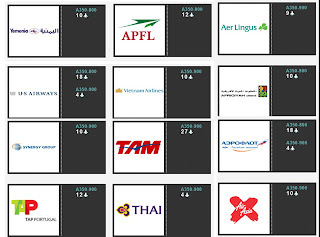 Aircraft sales fell in 2012, as the company had predicted. It blamed the fall in new orders, down from 1,419 in 2011 to 914 in 2012, on customers choosing to purchase aircraft from Boeing. Its market share on new orders fell from 64% in 2011 to 41% in 2012. John Leahy, chief operating officer at Airbus, slammed Boeing over its unstable production pattern. Mr Leahy said that Airbus has managed to stabilize and keep increasing levels of production, even when order levels drop, as it has created a backlog of work so that it can continually increase production levels. Airbus has a backlog of 4,700 aircraft, which equates to eight years worth of production. 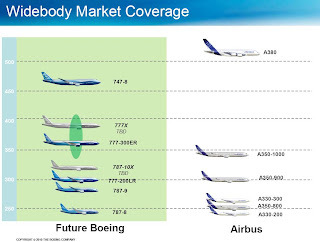 Airbus said that it will target the Asian market, commercial jet lessors, and airlines in the US. 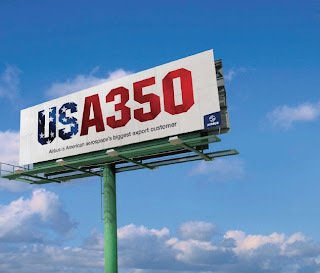 Leahy believes Airbus can make headway in the US market after authorities declared some of the subsidies provided to Boeing and US airlines as unfair and requested that amendments be made to level the playing field. “We are pleased to see that the European Commission has taken steps to address this important issue,” said Mr Bregier on the new rules given to Boeing regarding subsidies. 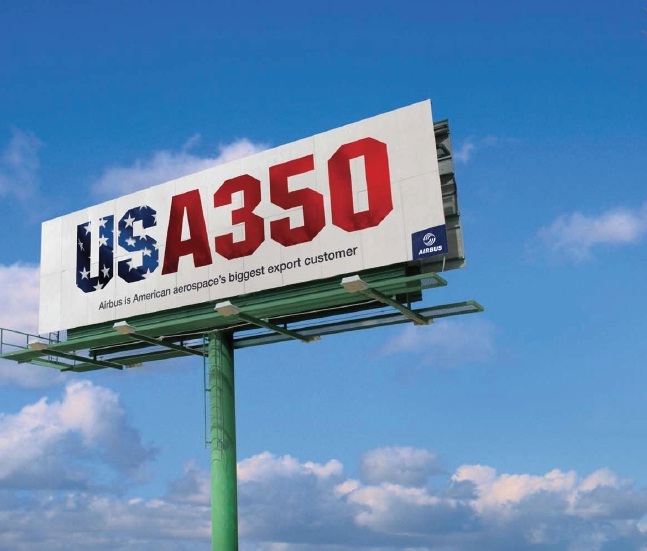 “Hopefully there will be some international progress and this will help us to sell lower range aircraft in the US,” he added. 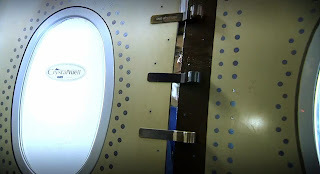 A350 XWB passenger cabin windows manufactured by GKN, as for other Airbus LR, Boeing, Embraer and Bombardier aircraft. 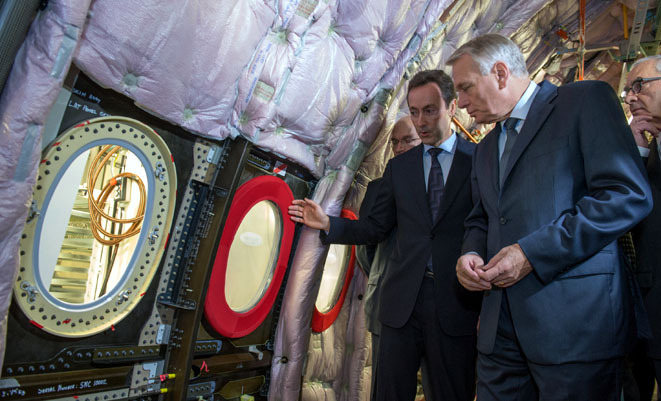 The GKN Aerospace’s CrystalVue II™ cabin windows are already installed in the MSN001 aircraft at the FAL Toulouse. It is not a risky or new window, as more than 2 million CrystalVue II™ windows are in service worldwide on aircraft operated by major and regional airlines and 800,000 more windows are manufactured each year. 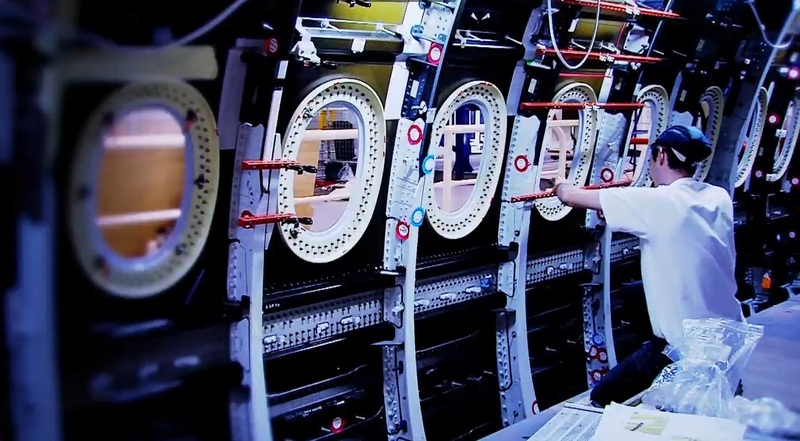 GKN Aerospace’s passenger windows have been standard fit on many Airbus aircraft and on all Boeing aircraft, for many years. 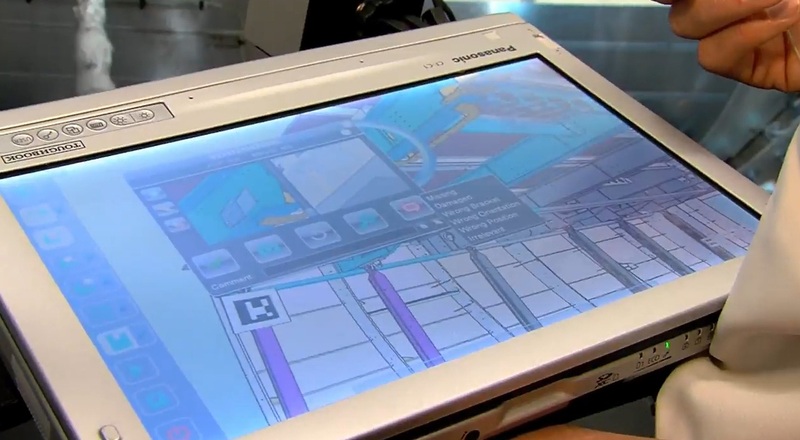 The CrystalVue II is the cabin window selected for both Boeing 787 and A350 XWB. CrystalVue II is a hard coated stretched acrylic passenger window pane which offers greater abrasion and chemical resistance than any other acrylic cabin window currently available, maintaining visibility through the window pane. 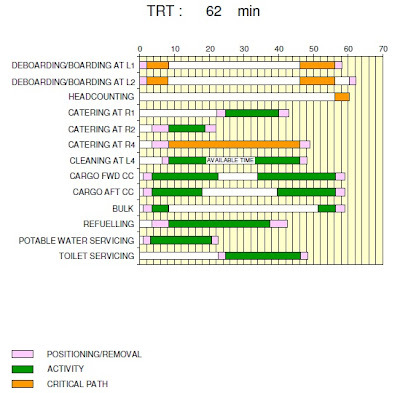 In addition, the window's service life without interim maintenance actions is typically 3-4 times longer than other products on the market, substantially reducing maintenance activity and costs. 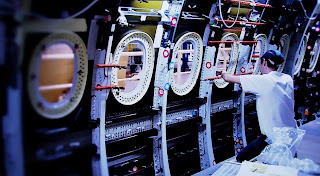 In 2005, GKN Aerospace was selected by Airbus, under a cooperation agreement, as the preferred vendor of passenger cabin windows for the A330 & A340. As part of this agreement with Airbus, GKN Aerospace is providing 'Vendor Managed Inventory', ensuring Airbus has quick and immediate access to window supplies for each aircraft at all times. GKN Aerospace manages the inventory, restocking to agreed minimum/maximum levels to ensure parts are always available. For example, GKN Aerospace has an agreement in place for distribution partner A J Walter Aviation Singapore (AJWS) to stock a full inventory of CrystalVue II passenger windows at their Changi facility. 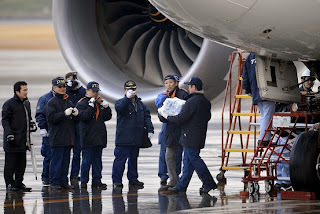 The target is to have an efficient and timely product distribution to airlines in the Asia Pacific region. The passenger window is a complex item regarding materials, design and processes with different technologies, patents and requirements involved, like UV protection, stealth requirements, moisture barriers, abrasion resistance, electromagnetic interference (EMI) shielding technologies, aero design, anti-fog requirements, hydrophobic, ice phobic, damage detection, acoustic, etc. The main advantages are related to Improved light transmission and optical clarity as well as related to solar heat management (CrystalVue Solar Control) and to prevention of electromagnetic interference (passive coatings or micro screens). 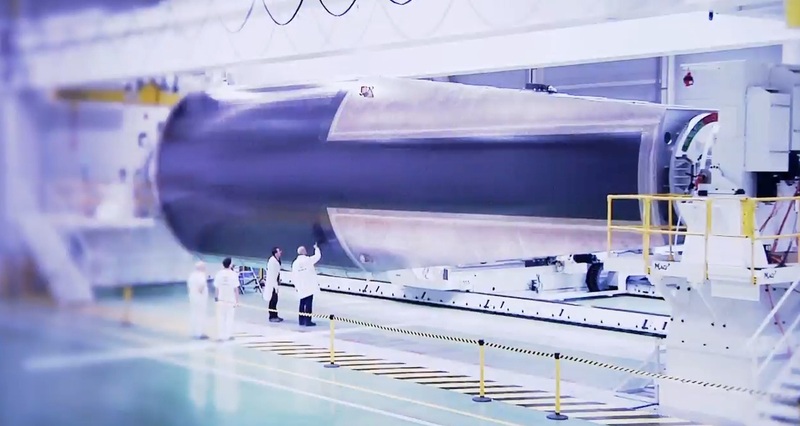 GKN Aerospace has a more critical involvement in the A350 XWB program with the manufacturing of thrust struts, inner core fairings and blisks for R-R Trent XWB. In the structures work packages, GKN Aerospace invested over £170m to create a new facility in the UK where the rear wing spar is manufactured and the fixed trailing edge of the wing assembled. 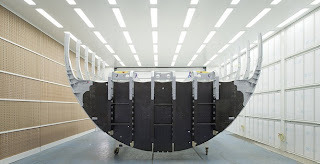 Additionally, the company also invested in its Munich facility where the inboard and outboard flaps (including skins, spars, ribs and leading edges) are manufactured. If you want to buy a A350-900, you are late; one month ago it was 10 million US$ cheaper. As every 1st of January, Airbus has updated the list price with on average a 3,6% increase over 2012 prices. “A350 XWB is on track” and 4 Lessons-Learnt by Fabrice Bregier. Fabrice Bregier said in an interview at the World Economic Forum in Davos that “the A350 XWB is on track” and that it has time to make changes that may arise from an investigation into the fault that grounded Boeing's 787 Dreamliner. Lesson learnt 1: supply chain. Bregier, said Airbus had learned lessons from its troubled launch of the A380 superjumbo, including the need to limit the amount of work outsourced to other companies. 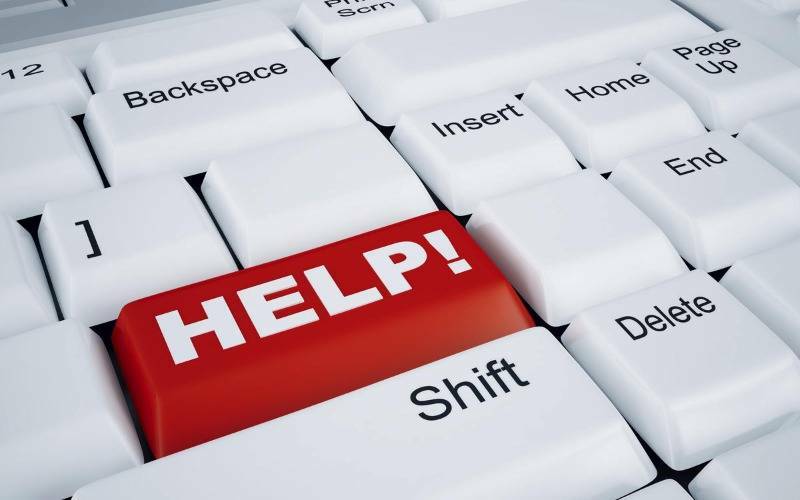 "Sometimes we went too far on outsourcing work," Bregier said. "We need to make sure we control the architecture of the aircraft so as to have the safest and best aircraft." Lesson learnt 2: personal involvement in the challenges. 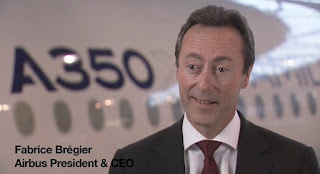 Mr. Bregier said he was taking personal charge of ensuring the success of the A350, which is due to make its first flight in the middle of 2013. He also said that certifying any new aircraft is “very difficult” because of “more and more stringent” rules applied by the authorities. Lesson learnt 3: Don´t panic. First maturity, second schedule. "If I take the A350, we drew all the possible lessons from the A380," Bregier said. "And if by chance there is a decision regarding the 787 which would impact us, we would of course embark on that. And we have plenty of time." 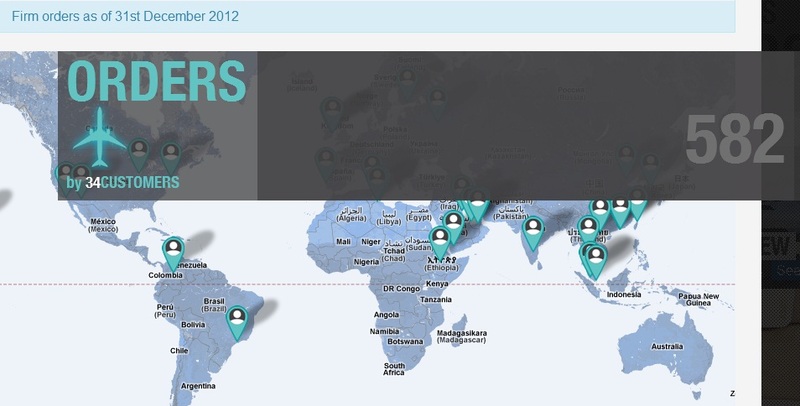 Lesson learnt 4: the launch customers are in the Middle East (Qatar Airways) and Asia (Singapore Airlines). Bregier said the global environment was challenging, but growth in markets for new fleets in Asia, the Middle East and Latin America was more than making up for the recession in Europe. "We are in a growing market and if I could deliver aircraft faster I would have more customers," he said. "Europe is now only 14% of our backlog, it was 50% 15 years ago." 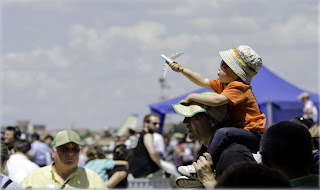 Airbus CEO: we need to inject the aerospace virus to the younger generations. Target of 3.000 new jobs for 2013. “There are 3,000 people to recruit around the world in 2013,” declared Fabrice Bregier, president and CEO of Airbus, at the company’s annual press conference in Toulouse, France. Mr Bregier stated that Airbus is “bringing a lot to the European economy and will continue to recruit”. Airbus, which employs more than 100 different nationalities, has the target of hiring around 20% non-national candidates. Another target is hiring of 25% women & 20% female Engineers annually. The younger generations are the future for Airbus, linked to Innovation. 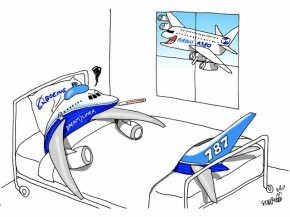 And Airbus is working with the challenge to "recharge the young´s aerospace batteries" as said in some forum. 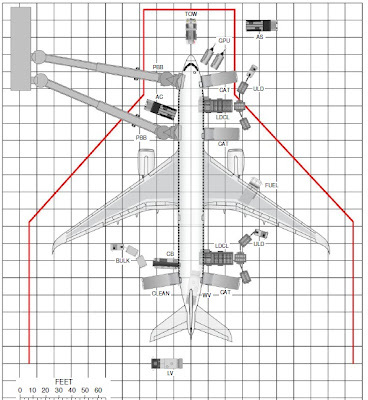 Airbus appears to be dismissing the possibility of a further stretch to the A350, despite the capacity gap between the A350-1000 and the A380 (as shown in this Boeing´s chart). 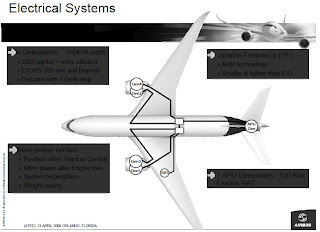 The A350-1000 will be capable of seating 350 passengers in a typical 3-class configuration. High-density arrangements could lift this to 440. And the A380 has configurations of 400 to 525 seats. 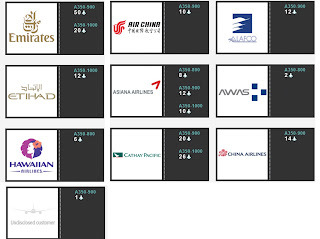 While Airbus positioned the A350-900 as the central platform for the 3-member family, the backlog of the smaller A350-800 is eroding in favour of the larger variants. Airbus does not see room for a further stretch beyond the A350-1000; "A double stretch has never been shown to work in this industry," claimed Airbus chief operating officer for customers John Leahy, speaking in Toulouse on 16 January. "We couldn't do it. 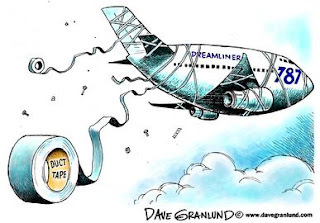 And we don't think [Boeing] could do it either." The A350-1000 underwent a redesign in 2009 to improve its thrust and range capabilities but Airbus resisted stretching the fuselage. 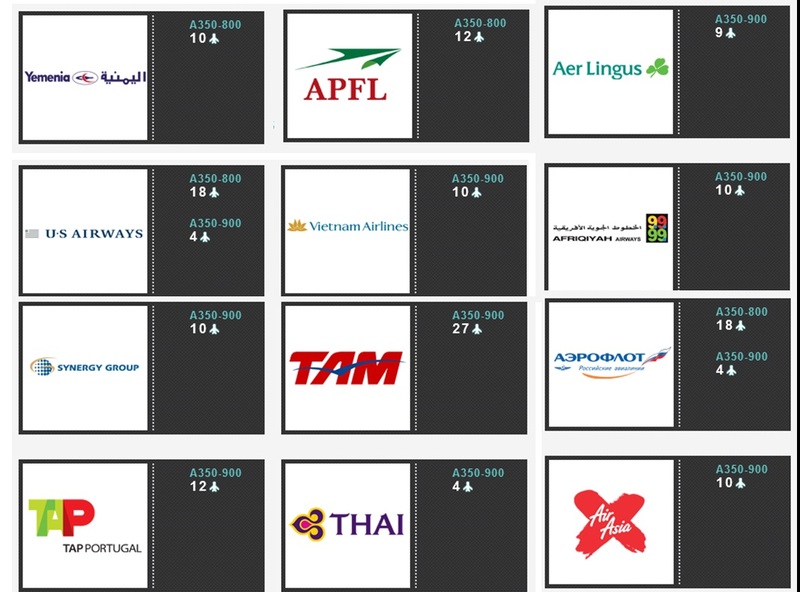 The -1000 has yet to achieve convincing sales - a matter Leahy attributes to slot availability - but the aircraft has attracted orders from Cathay Pacific and Qatar Airways. We should wait until Le Bourget Air Show to watch the next movement; A350-800 could be cancelled, could be postponed or could be maintained. 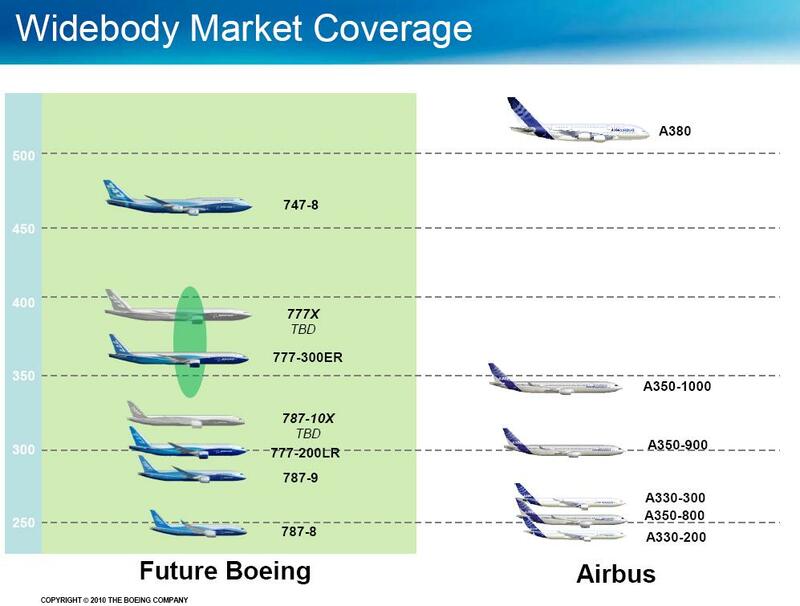 And it will be directly linked to the future decision in the higher range of the family, with 787-10X and 777X by Boeing and above commented possible A350-1100 version. The assembly in the nose section of the forward fuselage at St.Nazaire has been done with a higher maturity than the previous two aircraft and the lessons learnt have been applied. The installation of the FTI Flight Test Instrumentation components, and specially systems with all kind of provisions and fixed supports, has been the main challenge of last months. The cockpit systems and different modules have been suscessfully installed. An enhanced reality project is in place for that purpose: the digital model of the aircraft is used to process it and to use a touch-screen tablet to look round inside the aircraft to check all the fixed supports and also to discuss the status of progress on the aircraft with the other departments involved. 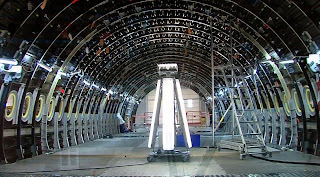 The central fuselage has been more challenging because of panels manufactured by Spirit, that have been delayed to achieve a big rate of completion which allows to avoid travelling work to the FAL in Toulouse. Additionally, other components in the central fuselage, with many interfaces involved, have required more development than expected. The arrival of these two first components in the final assembly was initially planned for Cristhmas, so the assembly team at the FAL will try to recover this delay. The aft sections of the fuselage should be in the final stage in Germany to be shipped to the FAL during February. Airbus knows that what happens to Boeing could in similar form happen to Airbus so nobody at Airbus is anything but empathetic. CEO Fabrice Breigier expressed sincere hope for Boeing’s plight and efforts to return the 787 to service, and this reflected universal sentiment. 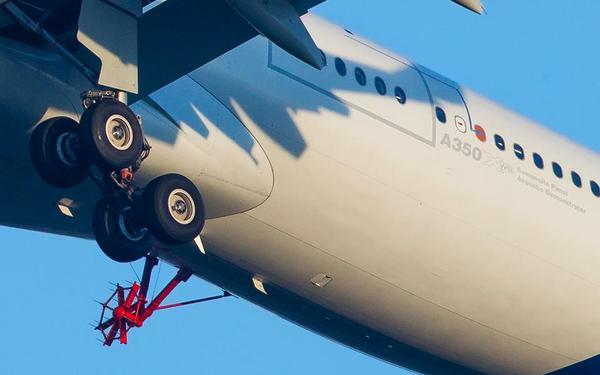 Regarding the use of lithium batteries on the A350 XWB, Airbus officials, without any hint of criticism over Boeing’s choice of an all-electric airplane, simply explained the differing philosophies that led to Airbus’ conclusion to retain more tradition methods of powering the A350: hydraulics and pneumatics. The benefits of all-electric didn’t offset the risks and costs enough to go this route, officials said. The result is that the A350 XWB actually draws less power from batteries than the A330 because of design efficiencies, they said. Further, the Auxiliary Power Unit on the A350 XWB is started by two batteries splitting the load versus one battery on the 787 carrying all the load. That leads to less power per battery being required in A350. “But that does not mean that we may not be facing the same issues as Boeing,” said Tom Williams EVP-Programs. Airbus will “carefully study” recommendations that come out of the Boeing 787 investigation and evaluate whether they apply to the A350, with Bregier noting that the A350 still is in the development stage, so modifications are still possible. However, Executive VP-Programs Tom Williams concedes that replacing the lithium-ion batteries would be a “very serious decision” and possibly cause “months in delays” in the A350 program, impacting the first flight. The real impact on Airbus is still uncertain. While Airbus has selected a different supplier, Saft, for the batteries, the A350 XWB also is a less electric aircraft than the 787. Systems such as braking and functions such as de-icing are still performed in the conventional way, using hydraulics and bleed air, respectively. 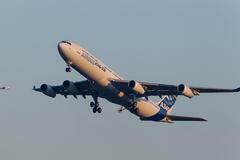 According to Williams, Airbus has design features intended to make the battery operation particularly safe, including mechanical relief vents made of titanium. “The critical issue is to get failure management right,” he says. Airbus could use nickel-cadmium batteries, but that would require a huge effort, and would lead to a significant weight and space penalty. Also, nickel-cadmium batteries are prone to the memory effect and cannot be recharged fully after a certain number of cycles. 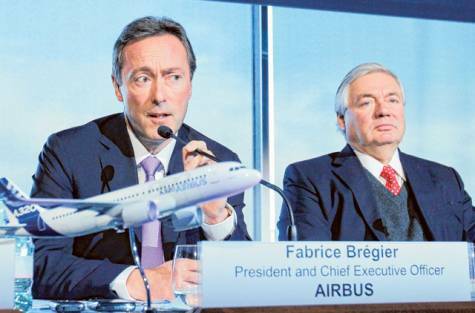 During the Annual Press Conference held on 17/January/2013, Airbus highlighted the orders signed in 2012. 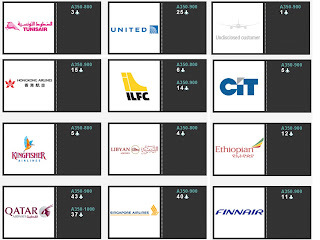 "In the widebody market, 58 A330s and 27 A350 XWB were ordered. 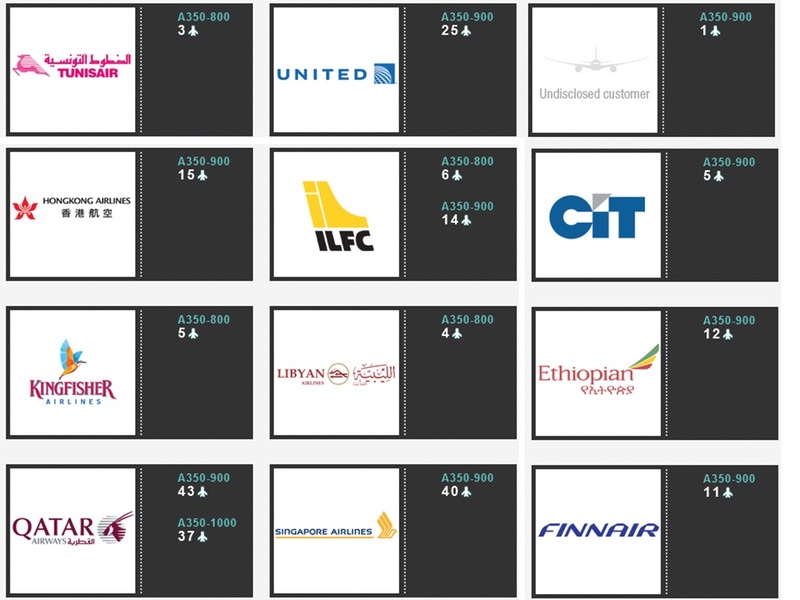 The A350-1000 won major endorsements from leading airlines through significant upsizing orders." Second A350 XWB supplier rescued by Airbus: Spanish Alestis Aerospace. 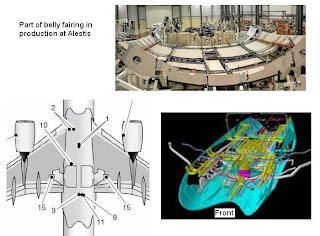 Airbus may invest in one of its key suppliers in Spain, Alestis Aerospace, to protect the delivery of parts and ensure Alestis can pay its own subcontractors (around 200 in Andalucia).In principle, this operation will be temporary. 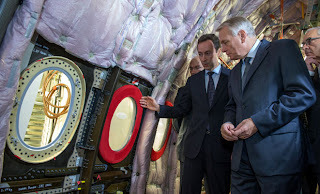 Airbus has been supporting Alestis for more than a year, since the Spanish company struggled to receive credit, and the Toulouse-based planemaker is now considering an outright investment, said Airbus spokesman Jaime Perez-Guerra. Suppliers including Alestis, which makes parts for all Airbus aircraft including the new A350 XWB, have struggled to keep pace. Airbus purchased PFW in 2011 after the German supplier lost access to credit. It is striking that both PFW & Alestis manufacture also parts for Airbus´ competitor 787. “At this point our main aim is to guarantee that Alestis will deliver on its obligations to us, and for that we need a solution for the long term,” Perez-Guerra said. Airbus has sent in managers to help Alestis in areas such as engineering and operations. The manufacturer may invest 21 million euros ($28 million) for a controlling 56.5% stake (from a previous 1.8%), Spanish paper El Pais reported Jan. 9. The adjustment implies 365 fired employees from a total of 1.800 in all facilities and plants located in Spain and Brazil. The amount of workload for Alestis coming from Airbus is about worth about 2.3 billion euros over the next 10 years, Perez-Guerra said. The company’s two main work packages for the A350 XWB are the belly fairing and the section19.1 (tail cone). Airbus closely monitoring 787 major battery malfunctions to mitigate the risk of grounding the A350 XWB fleet in the future. Airbus has set a taskforce to monitor all data, information and safety improvements related to the in-flight fire in hazardous Li-ion batteries that has spoiled and forced the 8 airlines -that has received 50 aircraft- and regulatory agencies –with American FAA leading them- to ground the complete 787 fleet. 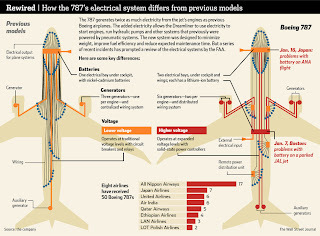 Because it is not only an issue with the electrical systems but a series of incidents, as the 787 grounding is the first one for many years (the last time the FAA issued this type of order grounding a jetliner model occurred after a DC-10 lost an engine and crashed in 1979). The FAA called for Boeing and its airline customers "to develop a corrective action plan" and Boeing is working around the clock to resume the flights as quickly as possible. Boeing confirmed that a fire on two JAL & ANA 787s appeared to have started in a battery, and the National Transportation Safety Board said the battery had "severe fire damage." 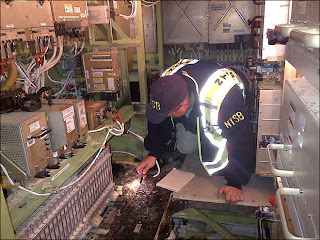 The fire happened on the ground 7/January, with no passengers on board JAL 787. Only a week later another 787, this time from ANA, made an emergency landing in southern Japan after battery alarm and smoke. 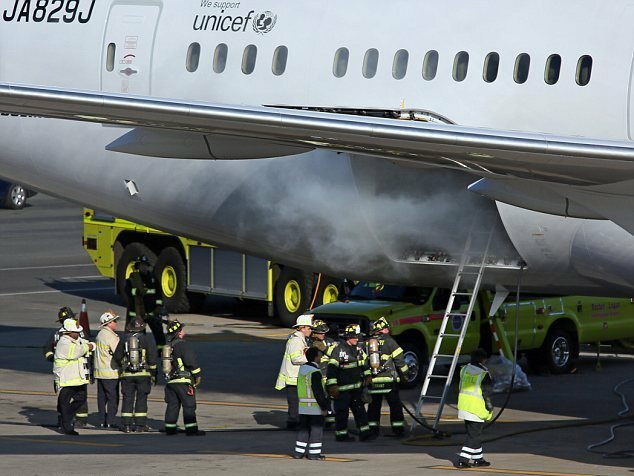 The key is that in-flight fires can be catastrophic, so the matter is getting close scrutiny by aviation authorities. A350 XWB has also lithium-ion batteries, which is considered hazardous in many applications and in air cargo shipping. 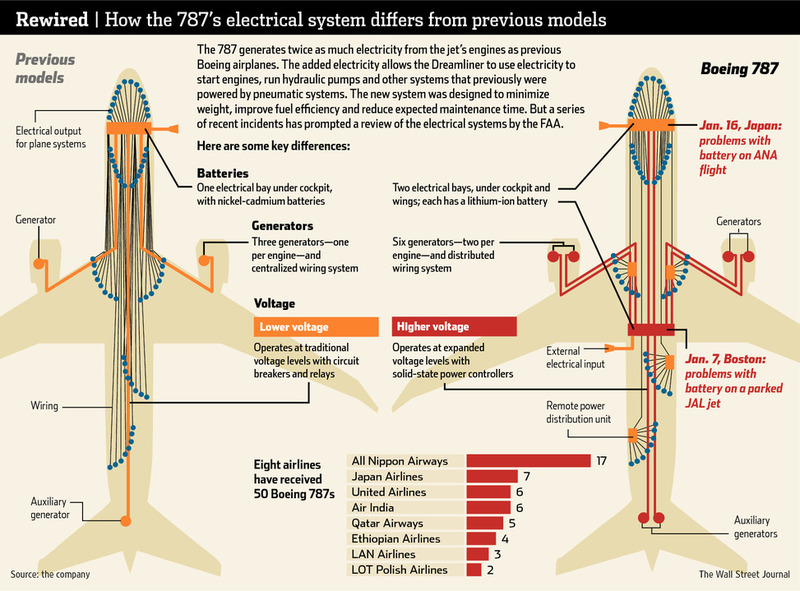 While the 787′s use of Li-ion is attracting headlines, the use in airplane applications is more common than has been recognized. So the reason for equipping the 787 and the A350 XWB with batteries is the same: improve fuel efficiency, reduce maintenance costs/time and reduce weight. 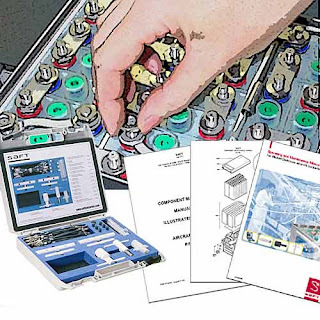 DC power or various ground functions, including APU start when ground power is not available. The A350 XWB has 4 identical part number 28V Lithium-Ion batteries from Saft, meaning there are 28 Li-ion cells on-board (compared with only 14 on the 787). Airbus electrical systems engineers have studied the known failure mode for Li-ion batteries called thermal runaway. Only 2 of the 4 batteries are connected to the buses in a way such that they can supply standby DC power in an emergency. The battery system offers a truly innovative solution and includes an integrated monitoring and charging system using proprietary Saft know-how in the relevant electrochemistry algorithms. Currently, and this could be modified, the electronics bay –where relatively few flammables are installed- doesn’t have a fire suppression system. 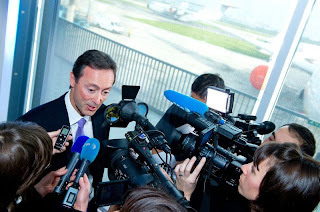 Airbus CEO Brégier: “We went through discussions with the regulatory agencies – EASA [European Aviation Safety Agency] and FAA [Federal Aviation Administration] – and they seemed happy with the [A350 electrical] architecture,” he said. “Regarding the A350, we’re in the development phase. We will have many opportunities to change things. 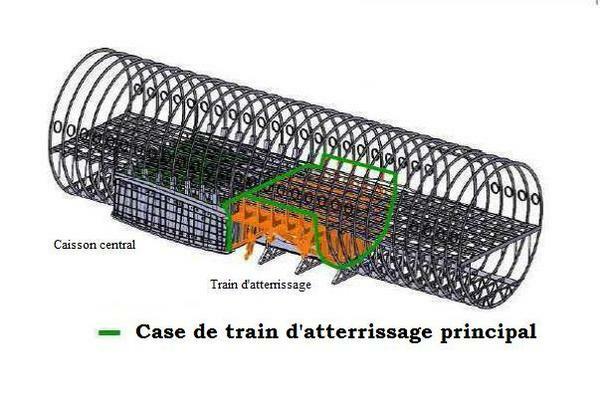 With regard to the electric architecture, we see, unless we receive new information, no need to change the architecture.” “Both Boeing and Airbus give the same priority to safety,” affirmed Brégier. The announcement “There is no Boeing 787 flying anywhere in the world at the moment" shocked the aerospace industry and it is not good for the A350 XWB because the public confidence in the fleet of 787 or any aircraft needs to be restored and it will take time. 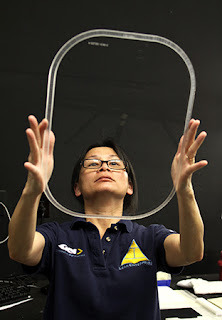 McStarlite Company is manufacturing high tech inlet lipskins for the A350 XWB. The engine nacelle lipskins –manufactured of ductile aluminum AL-2219- are delivered from California to Airbus´ Nantes facility. McStarlite produces the engine nacelle leading edges – or lipskins – for all the current Airbus production models. “Airbus is increasingly working with US-based high-tech companies like McStarlite,” said Airbus Americas Chairman Allan McArtor at a ceremony in the City of Los Angeles in the presence of Mayor Antonio R. Villaraigosa. “Airbus has proven to be a strong business partner with more than 100 suppliers throughout California. By doubling its direct economic investment, Airbus’ commitment to the region is commendable and helps ensure that the aerospace industry remains a strong economic engine here in Southern California where it began. Los Angeles is always on the cutting edge of creativity and innovation, and companies like McStarlite make the city's business community shine,” stated Mayor Antonio Villaraigosa.